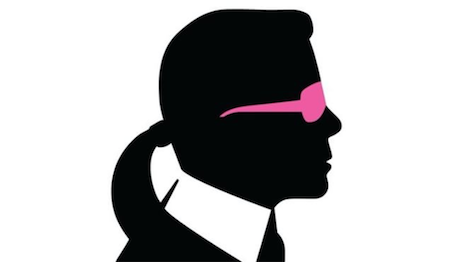 Karl Lagerfeld, one of the world's greatest fashion designers who seemed immortal and invincible, passed away today of pancreatic cancer in Paris' American Hospital. He was 85. Tributes have started pouring in for a man who transformed storied fashion houses such as Chanel, Fendi and Chloé, while not spraying similar pixie dust on his own eponymous label. He is survived by Choupette - arguably the world's most famous cat. Chanel quickly named Mr. Lagerfeld's right-hand person, Virginie Viard, as his successor. Ms. Viard took the bow a few times last year along with Mr. Lagerfeld, starting with the cruise 2019 show. Mr. Lagerfeld had missed the two Chanel haute couture shows last month, something he rarely did. Ms. Viard took the bow instead. But speculation did not extend to the seriousness or nature of his illness, attributing his absence to being a bit tired from a lifetime of movement in the worlds of luxury and fashion. The word to describe the man was indefatigable. He never stopped designing or creating. Image was backed by work ethic, but, by golly, he stuck to his guns. Take his preferred attire in his so-called dotage: retro starched collars, black jacket and jeans, dark glasses, motorcycle gloves, jewelry, fan and high-heeled boots, all accentuated by shocking white hair neatly pulled back into a pony tail. He was a walking, talking myth. Mr. Lagerfeld was a man of varying appetites and unending stamina. From producing an estimated 14 collections a year to switching between the Italian Fendi and French Chanel, Mr. Lagerfeld could do it all. His sketches were works of art. He was a master marketer, dazzling with his creative fashion shows and wit. He was a prolific photographer and publisher. He was also extremely outspoken - some would say to the point of being tone deaf - over his notion of beauty: he dissed Russians and women who he did not feel fit his ideal of beauty. To judge him by his biases would ignore the other facets of his personality. Above all, he was creative and daring, willing to take calculated risks, but not to the point of ridiculousness. To call him an icon would be totally fair, and quite deserved. Among the world's legion of fashion designers, Mr. Lagerfeld could boast the most number of apartments across the world - only peers Valentino Garavani and Giorgio Armani were his real estate rivals with their houses - and a library of books that is said to have totaled 300,000 volumes. Mr. Lagerfeld was multilingual - English, German, French and Italian - and he was multi-dimensional. THE GERMAN in him came through with his discipline and attention to detail. Each task he undertook with gusto, and each show boasted unrivaled flair. He elevated the brands he helmed and relished a 24/7 lifestyle of work. “He was variously referred to as a ‘genius,’ the ‘kaiser’ and ‘overrated,’” Ms. Friedman wrote. "His contribution to fashion was not in creating a new silhouette, as designers like Cristobal Balenciaga, Christian Dior and Coco Chanel herself did. “Rather, he created a new kind of designer: the shape-shifter. “That is to say, the creative force who lands at the top of a heritage brand and reinvents it by identifying its sartorial semiology and then wresting it into the present with a healthy dose of disrespect and a dollop of pop culture. Note: This story was updated to include Virginie Viard's appointment as Chanel's new creative director. She was Mr. Lagerfeld's right-hand person. - Ed., 2.55 p.m. ET. The story was further updated to state that Mr. Lagerfeld passed away of pancreatic cancer. - Ed., 7:55 p.m. ET.